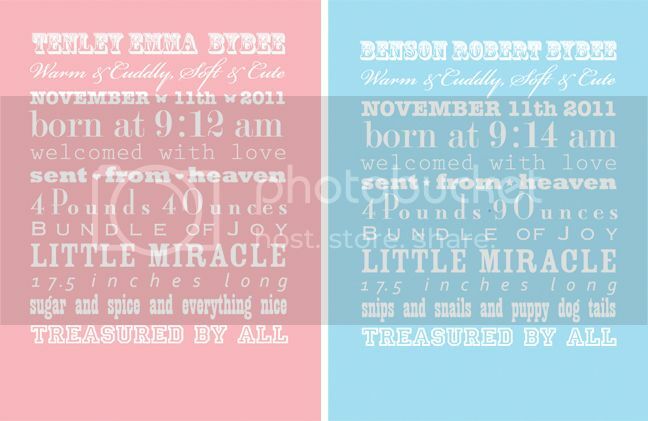 My sweet friend Erica gave birth to twins - Benson and Tenley - on 11.11.11 (how COOL is that??) after being on bedrest at home for 6 weeks and then in the hospital for 4 weeks (and whenever I saw her she had a giant smile on her face - she is one amazing woman!). As of today the babies are still in the NICU, but they're doing great and hope to be home any day now! We postponed Erica's shower once because she was hospitalized, and we nearly had to cancel the second time because it was the night after the great and terrible windstorm and most of the guests were still without power. Luckily all's well that ends well and everything went smoothly and wonderfully. 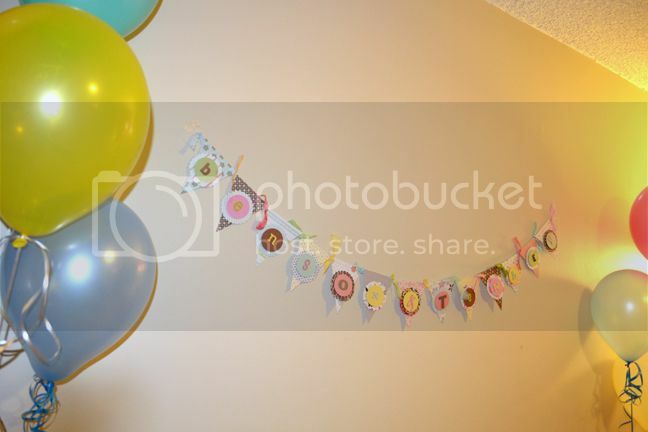 My contribution to the shower: a homemade banner and balloons. 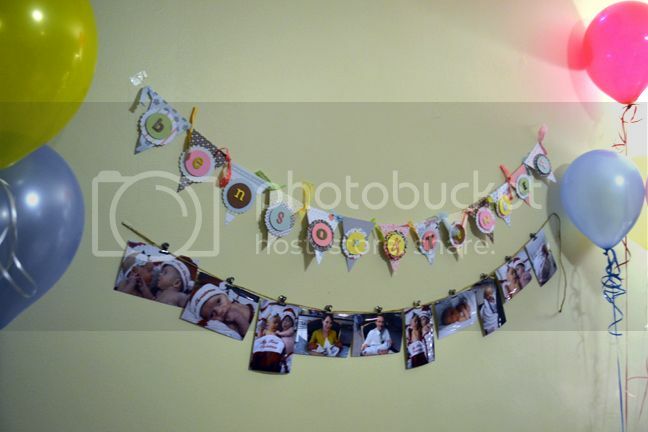 When Erica arrived she brought pictures of Benson and Tenley to hang up below the banner so everyone could "see" them. 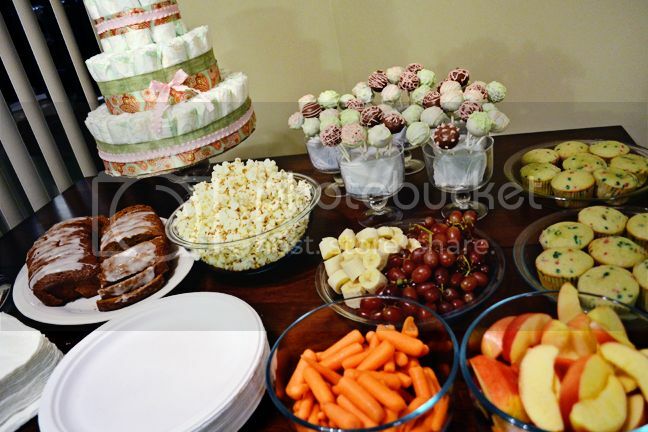 We sort of had a "pop" theme going on and had popcorn and cake pops. And that's about all the "pop" related things :) Balloons pop? 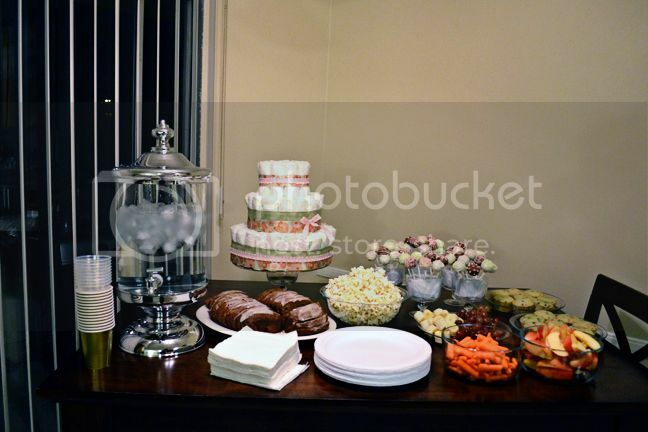 Thanks Veronica for supplying lots of the food! 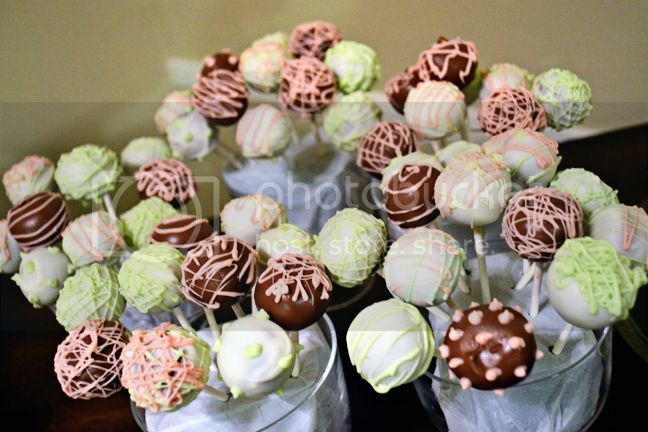 Cheryl made these cake pops and boy oh boy were they as delicious as they look! 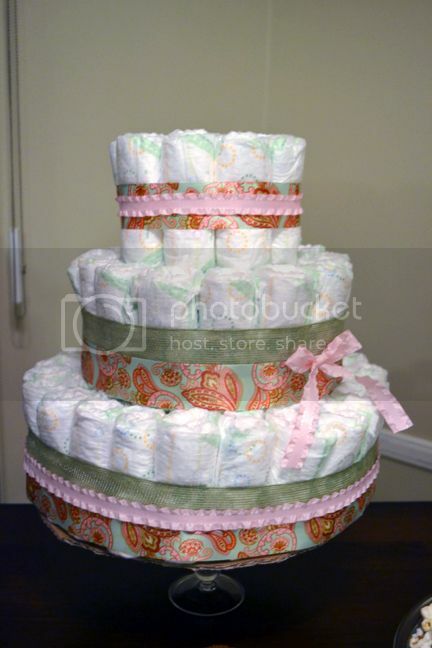 She also made this handy dandy diaper cake! 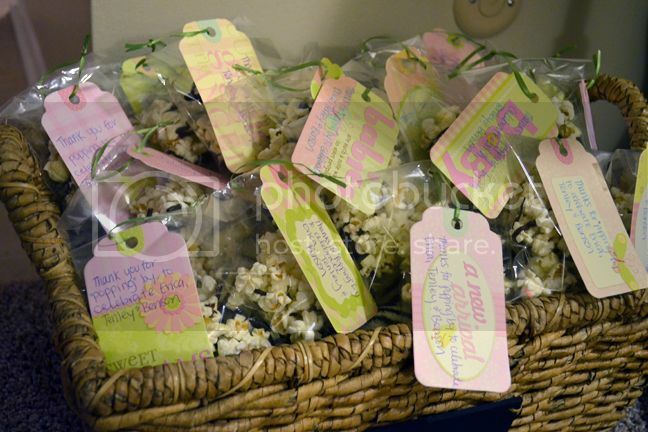 Aaaand she made these favors! This girl is crafty. I gotta keep that in mind. It was fun to watch Erica open TWOS of everything. One in pink and one in blue. A few candid shots of friends. Lots of preggo eggos! It never stops around here! 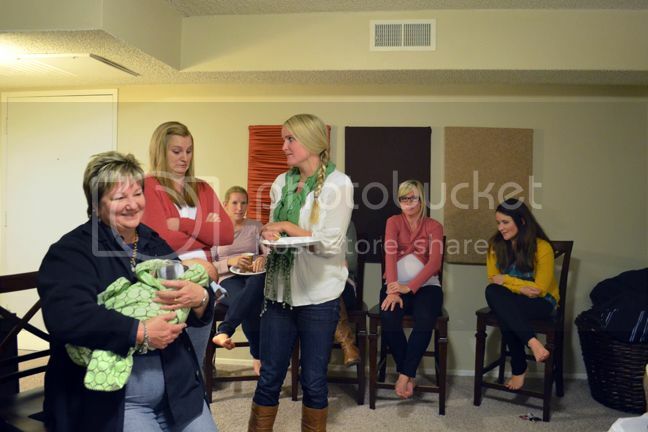 I can't wait to actually see your babies in real life Erica! You're superwoman! 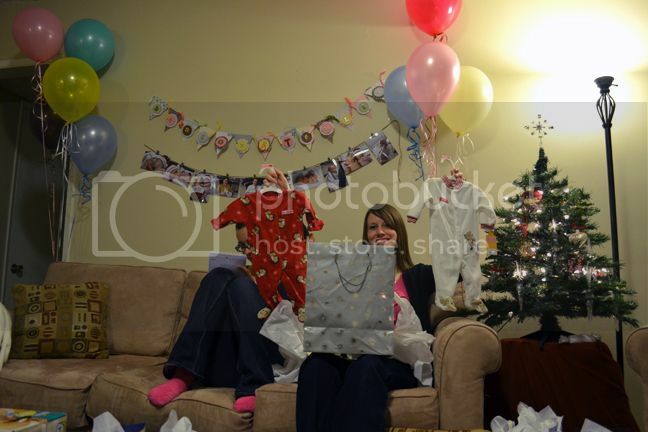 Looks like a wonderful baby shower - that banner is gorgeous!! And what a great idea with the baby stats!! I should do something like that for my son!! Love it!! 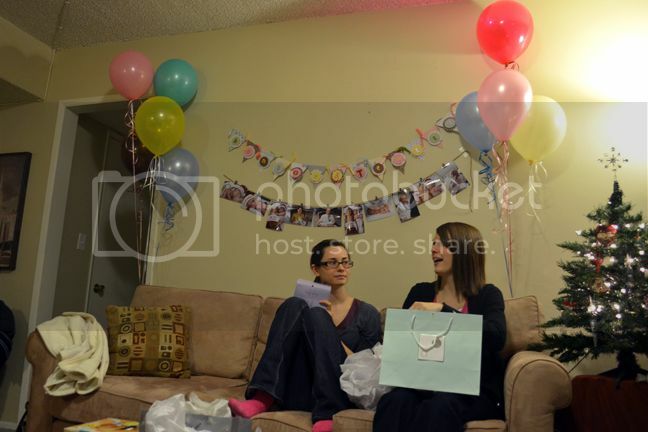 Looks like a great shower, Paige! I love the food and the banner and the stats. 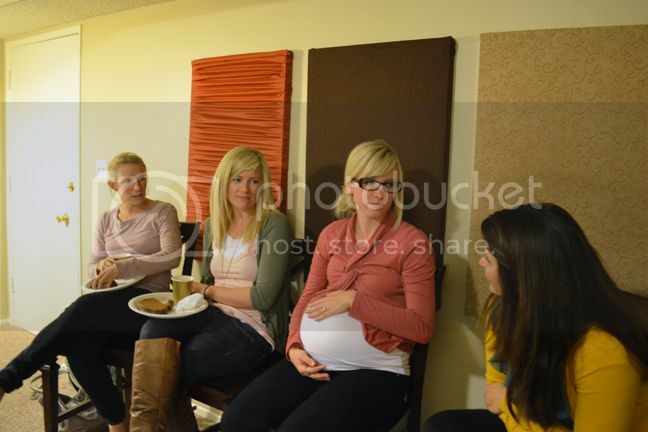 I can't believe how many pregnant girls were at the party! Looks like such a fun shower! 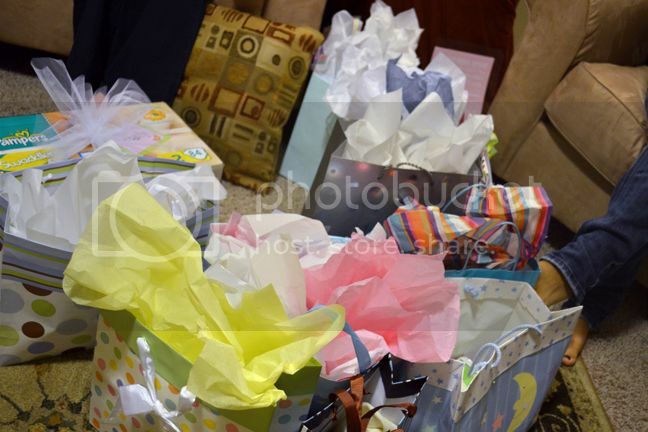 :) I loved all the decor! great job! cake pops are big right now, and they always look so delicious! all in all, looks like a great time! !